This past month, I have been working every possible moment to get my business up and running. I’ve been building, creating, networking, pouring over spreadsheets, thinking about my social media strategy, etc. I’ve been consumed with optimizing my time with tasks to reach my objective and stalking my inbox waiting for new leads to come in. Then, the day arrived when my car pulled up to take me to the airport for a trip I’d been planning to Japan. And, with excitement and a tiny bit of reluctance (but there’s still so much to do! ), I drudged my luggage down the stairs and off I went. On the plane, I started by finishing some work I’d been putting off. After I checked the productive box, I decided to use the remaining 10.5 hours of a 12-hour trip to do WHATEVER I WANTED TO. So, I binge-watched a fun new show called Genius about Einstein, napped, ate, and when the wheels touched down in Narita, I was engrossed in the latest Star Wars. 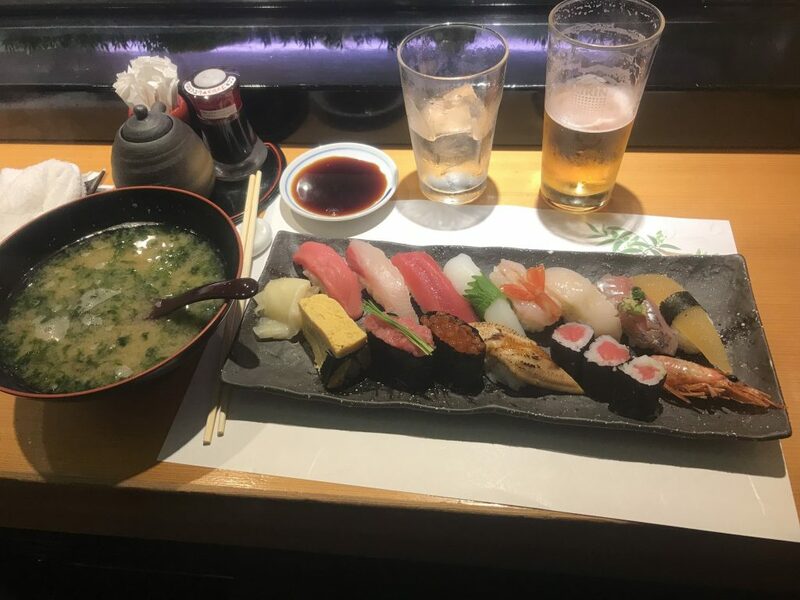 When I finally arrived at my hotel in Tokyo, I was a little loopy from the lack of sleep and time change but wasn’t going to go to bed without first getting some sushi. So, I stumbled down the street to find a hole in the wall and my gumption was rewarded by some of the most mouth-watering, tantalizing, scrumptious sushi I’ve ever eaten. I topped it off with a splash of beer. And my stress melted away. This morning, at the bright, bold hour of 5am, I awoke. (I’m not an early bird so the jetlag is a happy development in this case). I found myself reflecting on the night and what a shift in energy I had experienced. I went from feeling stressed, a bit inadequate, and overwhelmed to feeling excited, curious, and full of energy. I also felt a surge of creative ideas. When I finally checked my email, I had an invitation for a speaking engagement and a new client session scheduled. I had intentionally given myself permission to enjoy myself, had a memorable first night, and the fruits of my labor were starting to pay off. I knew this was not a coincidence and this was also not the first time that letting go had resulted in positive results. What’s the takeaway here? The way we mentally approach the tasks in front of us have so much impact on the final outcome. If you are stressed and worried, it wreaks havoc on your internal system and those around you. If you are happy and curious and are able to detach from the outcome, you feel lighter, more creative, people want to be around you and results follow. While it may sound counterintuitive, mentally letting go tends to produce the result we want more often and in a less destructive manner than obsessing over the end result. This doesn’t mean you don’t have to put in the hard work. But it’s the mental approach that makes the difference. What task have you been pouring over that you can mentally release to see the impact this may have in your life? I give you permission to let it go.